President Barack Obama is looking for a new ride. Not that his current limousine – dubbed “The Beast” or “Cadillac One” – isn’t faring well, but it’s a 2009 model, which he takes wherever he travels, and the Department of Homeland Security says it’s time for an upgrade. Designed to look like a 2008 Cadillac DTS, The Beast is a hybrid that reportedly blends Caddy components with the guts of a Chevrolet Kodiak commercial truck – but with heavy armor. Such heavy armor that the car reportedly weighs 7.5 tons. The armor includes 8-inch plates capable of stopping an improvised explosive device, or IED, and 5-inch multi-layer windows that make the doors as heavy as those on a 757 jet. The car is sealed against biochemical attacks. Although details of the presidential limo are classified for security reasons, various reports say that it features James Bond-style options, including a night vision system. It also carries communications gear and, in the trunk, a blood bank matching the president’s type. 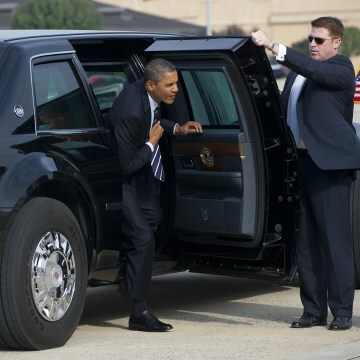 Special loops replace door handles, which allow Secret Service agents to hold on when running alongside the car. Goodyear run-flat tires fit into extra-large wheel wells. As for which car maker will land the contract, that’s a secret. Ford, Chrysler and GM have alternated as limo providers since 1939. 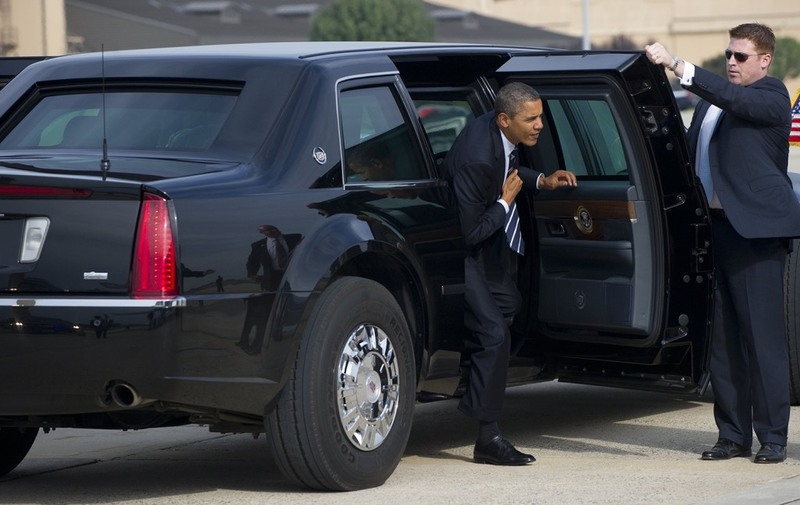 Obama’s current Cadillac is a significant upgrade – at least from the standpoint of safety and communications capabilities – from cars used by earlier presidents. Franklin Delano Roosevelt rode in the specially built "Sunshine Special.” It was based on a Lincoln K-Series chassis with a V-12 engine. It was aptly named as FDR preferred to ride around with the top down. Those early limos were convertibles, a favorite for politicians at all levels who knew the value of being seen by their constituents. But that was to change forever on Nov. 22, 1963. As far back as 1954, a nervous Secret Service had developed a protective bubble-top for President Dwight D. Eisenhower’s limousine. There was one available for the Lincoln that his successor, John F. Kennedy, was riding in that fateful afternoon in Dallas, Texas. But Kennedy liked being seen by the public – which made it easier for assassin Lee Harvey Oswald to fire a series of deadly shots from the Texas Book Depository near Dealey Plaza. That midnight blue 1961 stretch Lincoln Continental was pulled from service, rebuilt and returned to the White House fleet – though it is today on display at the Henry Ford, a suburban Detroit museum. Among the updates available to President Lyndon Johnson was a bulletproof hardtop and additional body armor. The vehicle remained in service through the Nixon Administration. The cruel realities of the world revealed by the Kennedy assassination changed the design of presidential limos – and for vehicles used by political leaders worldwide. Problems do occur, however, as when the diesel-powered Beast broke down at Israel's Ben-Gurion Airport. But such incidents are rare – and there was a backup limousine available.